Bas Lansdorp - Speakers Academy vindt de beste spreker en dagvoorzitter voor uw bijeenkomst. | Speakers Academy vindt de beste spreker en dagvoorzitter voor uw bijeenkomst. Bas Lansdorp is a born entrepreneur with a passion for ambitious projects. 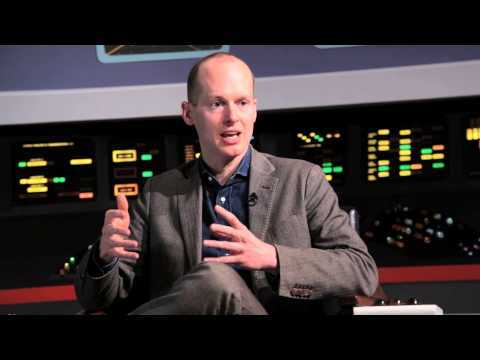 He is co-founder and CEO of Mars One, the dutch foundation that aims to land the first humans on Mars in 2032. Mars One has a renowned advisory board including a former NASA Chief Technologist, an astronaut, and a Nobel prize laureate. With several completed feasibility studies by Lockheed Martin Space Systems Company and Paragon Space Development Corporation, Mars One Foundation has built a firm basis on which to continue its mission. Mars One has signed an agreement to list at the Frankfurt Stock Exchange, through a reverse takeover in which Mars One is valued at 87 million euro. In his talk, Bas Lansdorp will discuss the why of Mars exploration and the how: Mars One's mission is feasible because it is a mission of permanent settlement, there is no return trip. He will also explain the business model for a manned mission to Mars and the complexities of finding a crew of four that can actually leave their friends family and planet behind for their ultimate dream: settling on Mars. Lansdorp sold part of his shares in Ampyx Power to finance the start of Mars One. Now, only three years later, Mars One is one of the established names in the world of space exploration. Mars One aims to send its first unmanned demonstration mission to Mars in 2022 and recently announced a contract with aerospace titan Lockheed Martin for this mission. "Bas was great! Both we and the attendees are very happy with the performance, it was an very interesting and exciting! Stavanger’s newspaper, Stavanger Aftenblad, even wrote an article today, about his performance and the Mars-One project. Tell him thank you, and that we are very happy!" "Bas presented a compelling story of his journey leading to his co-founding of Mars One, backed up by beautiful imagery not only of the planet but also of the proposed colonisation of Mars. Bas is an excellent speaker, backed up with great visual material. It was difficult to draw the session to a close as the Q & A that followed was enthusiastic and pointed. Bas was a most impressive speaker and the feedback that I received after this event was only praise and admiration. I have no hesitation in recommending Bas as a presenter to a focussed or diverse audience."